The Youth Program of Amics del Nepal steams from trying to commit the youths who gain a scholarship for superior studies to a social cause. Collaborating with the NGO that helped them grow up, contributing with their knowledge and concerns to improve their own communities, city, valley or country if this was the case. 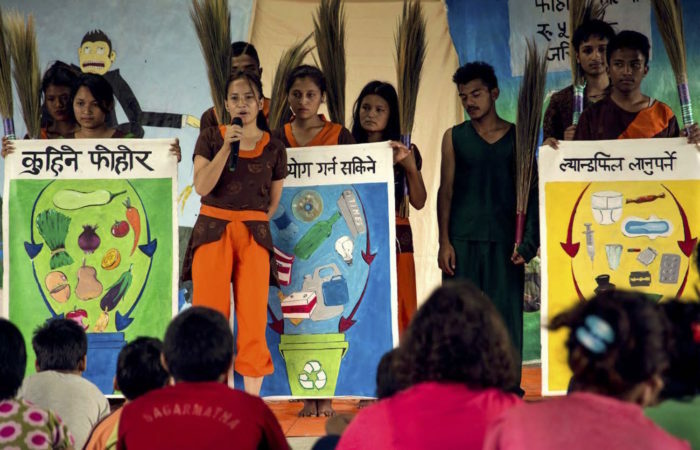 Projects to create an social impact, such as workshops and theater plays about the waste and other social concerns. 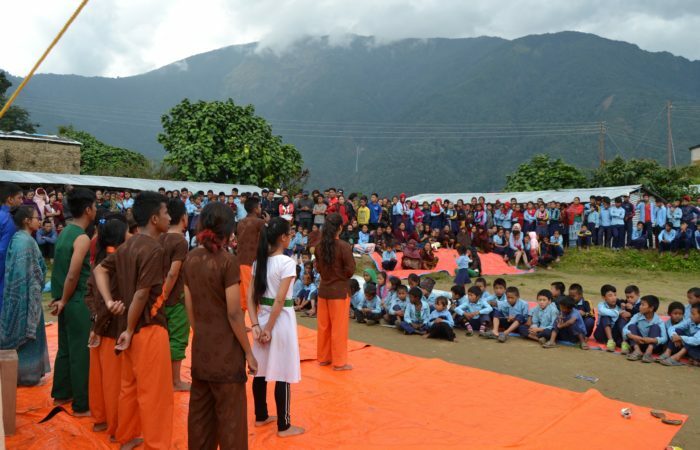 Reinforcement classes to disadvantaged children such as weekly classes to the last Earthquake Refugge’s Camp of Chuchepati and several public schools of Katmandu. Educational workshops in order to promote good habits and values, creating team work among the children in the children’s homes. Women’s literacy programs, supporting and creating material to help women that did not have access to education. The youths of Amics del Nepal have grown up sheltered by the association and had the opportunity to receive a good education and acquire a good level of English. Now is the moment, full of strength and energy, just before joining the working world to demonstrate who they are and what is it that they can do for their society. Helping not only to the low economic status families, but also making possible for the association to reach new communities. Education is something more than knowledge and lessons we can find in a book or a teacher can dictate. It’s about generating a safe and trusted environment where the student feels safe and make mistakes while discovering his capacities and skills.